In a Thanksgiving tweet, The Ethics and Religious Liberty Commission (ERLC) of the Southern Baptist Convention declared what everyone already knew—that it is the bank for George Soros on immigration. The Thanksgiving Day tweet from the ERLC promoted a video from a group connected with the National Immigration Forum. The National Immigration Forum is a well-known Soros-funded open borders group [Editor’s Note: This was originally posted by the Capstone Report, link included below]. It isn’t grassroots. The website WHOIS information shows the site was registered by the National Immigration Forum. The National Immigration Forum is backed by globalists including George Soros and Jeb Bush. Here is the whois information. Sure. Whatever the use, Soros is funding an organization trying to change the minds of folks sitting in the pews of conservative, evangelical churches. Infiltration is exactly what Soros and his fellow leftists are doing to evangelical Christian institutions. It is clear the Soros-funded campaign to muddle evangelical convictions on immigration is working. Now the ERLC tweets out open borders commercials from Soros’ think tank globalists. Southern Baptists, your ERLC tweeted out political propaganda. Are you comfortable with that? Do you want your tithes and offerings intended to further missions work used to lobby against your political beliefs and interests? The ERLC is funded by the Cooperative Program and a portion of your undesignated tithes and offerings help fund Southern Baptist entities including the ERLC. Are you comfortable with the elitist communitarians running things in the Southern Baptist Convention? Read more from this article at the Capstone Report, here. They do some great work over there. 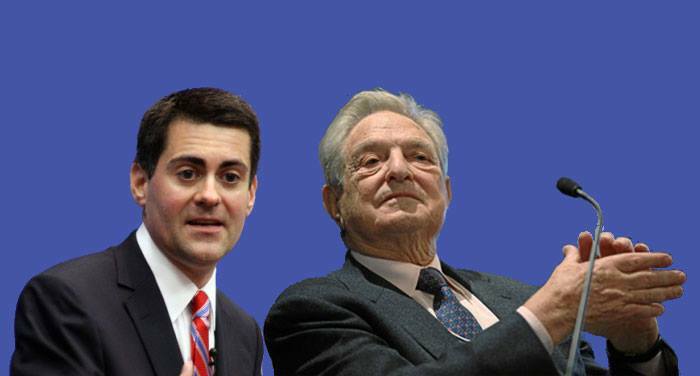 For more information about George Soros connections to Russell Moore, click here.